The Specialized S-Works Tarmac might just be the most successful frame of the last decade. It has won everything there is to win (and more than once) including the Tour, the Giro, the World's and Olympics to name just a few wins on its lengthy palmarès. I never really got on with it as a frame. I am not sure why, but it never seemed that technically interesting to me - I always thought there were better frames out there and especially over the last 3-4 years the Tarmac felt very long in the tooth. Whereas other brands were introducing award-winning designs (such as the cutting edge Cannondale Super Six Evo) it felt, to me, that Specialized was very cautious and complacent with latter Tarmac iterations. I don't think I'm being hypocritical- if you look at our build gallery you will see many more Altums, Emondas or Super Sixes than Tarmacs. We are not shy about voicing our opinions. However, the 2018 S-Works Tarmac is a dramatic change from the past version. Ever since I saw sneak previews of the bike in this year's Tour de France I have been desperate to try one. It's the bike I have most looked forward to trying all year. I think they have a real winner here. The headline figures are very impressive indeed; the SL6 is now a very competitive 733g, which is not quite Emonda SLR levels but close enough to be immaterial. More importantly, that's 200g lighter than the previous version (the SL5). That's a huge weight saving and incredibly impressive in this era of marginal iterations. If you look at a sticker on the frame it proudly says 'hand-made in Taiwan' as a badge of honour. And the frame is handmade, with the number of pieces of carbon used to construct a frame rising from 350 on the SL5 to 500 for the SL6. More pieces equal less overlap which gets the weight down. The weight savings are impressive on their own, but when married to the aero gains they become more so. I have long felt that Trek's killer app has been Project One (and the ability to custom build a Trek). Specialized (and the other big brands) have never been able to compete with that. 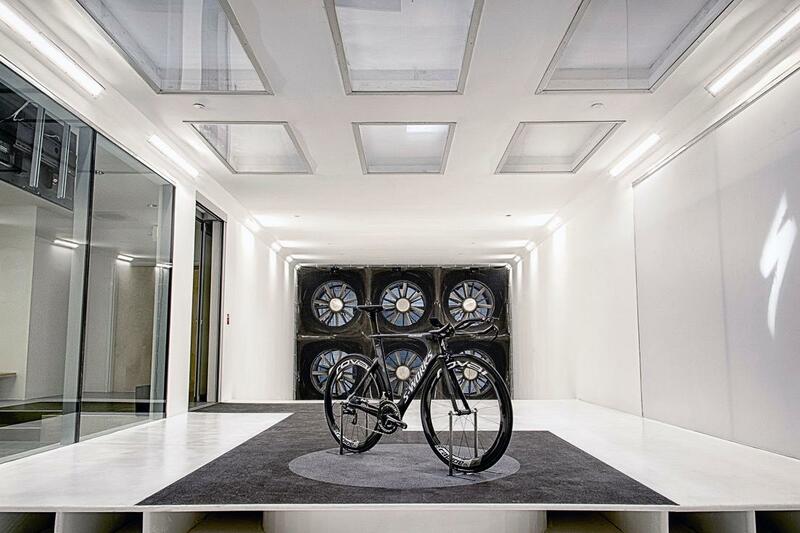 But Specialized has now responded and taken the fight to Trek in another area and built their own wind tunnel, which they rather cringingly called 'Win Tunnel'. It was announced a couple of years ago but it's only now that we are seeing the fruits of this investment. The ability to constantly test a new frame platform as it goes through the R&D process is huge - I am sure other brands will have to react and invest likewise. The new Tarmac is tested to be as aero as the previous generation Venge; which is remarkable as that frame was aero but at all sorts of compromises to ride quality and frame weight. Venge mk1 was a quick frame, but it was not a particularly fun frame to ride. The fact that this Tarmac can match its speed whilst being lighter and stiffer just shows how far frame design has come in five years. 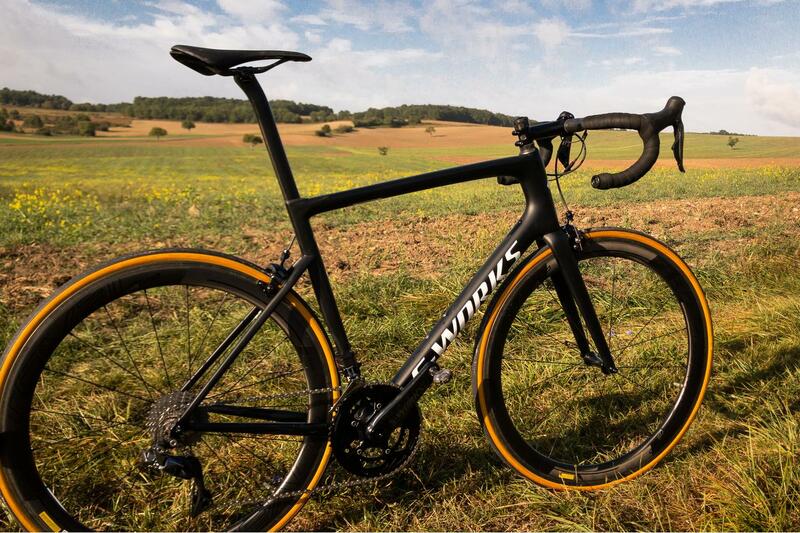 Specialized is claiming the new S-Works Tarmac is 45 seconds faster over 40 kilometres than its key rivals such as the Trek Emonda or Cannondale SuperSix Evo. We have no way of proving this but it's a bold claim. Their stated goal was to "add aero for free", so they have only added aero where it doesn't add weight or alter the frame stiffness. I think that's a smart approach. This is meant to be an all round race bike with added aero properties as a bonus - the out and out aero platform is still the Venge. The most visible change is the dropping of the seat stays, which coupled with a direct mount braking setup has neatened up the rear end. I happen to like the look of this; I think its modern and contemporary. However, I know there are others who much preferred the more flowing lines of previous Tarmacs. However the change brings about an obvious aerodynamic benefit, with the truncated airfoil shape reducing drag, but it has the added benefit of improved seated comfort over the previous generation. Previously the Tarmac seatpost was 27.2mm and a round shape (which also meant you could use 3rd party posts), but now it's aero shaped and proprietary to Specialized and has cleverly been designed so the top 10cm has more flex to add ride compliance. Brakes are direct mount now, and the rear has a rather trick carbon booster plate meant to lower weight and increase stiffness. It's cool seeing all these small touches. The fork has also been adapted to suit separate sizing, with three options of fork length: V1 for sizes 44cm, 49cm and 52cm, V2 for 54cm and 56cm and V3 for sizes 58 and 61cm. What are the differences between the versions? Well, the fork becomes wider and deeper as they match larger frames to compliment the different handling of those larger geometry frames. This has been mentioned in passing by the media but I don't think a big enough deal has been made of this. On most competing frames every size and model use the exact same fork. 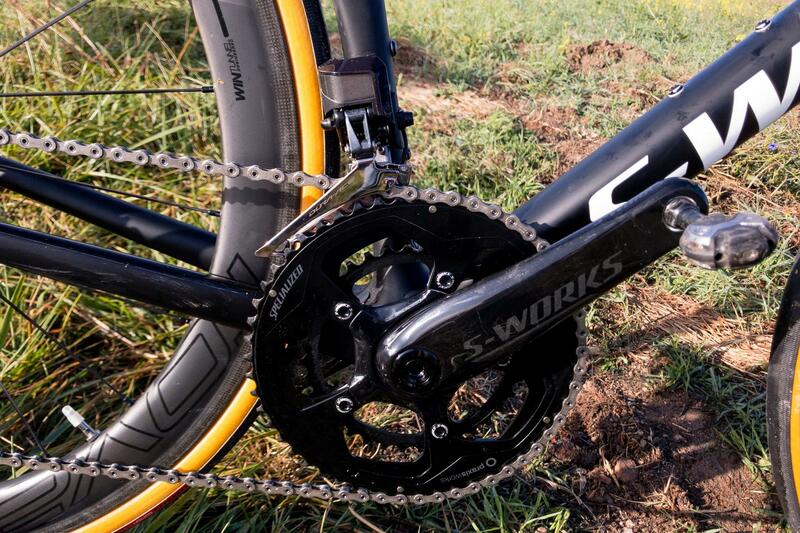 On some competitors, the frames use the same fork design but the fork rake changes depending on the frame size. But Specialized is the only brand I am aware of that has different fork shapes depending on your frame size. The added cost of additional fork moulds will have been substantial and it shows just how far Specialized have gone to eke out every performance advantage. The lower weight and increased aero make for a very special bike. Someone named Peter Sagan described the difference as palpable. 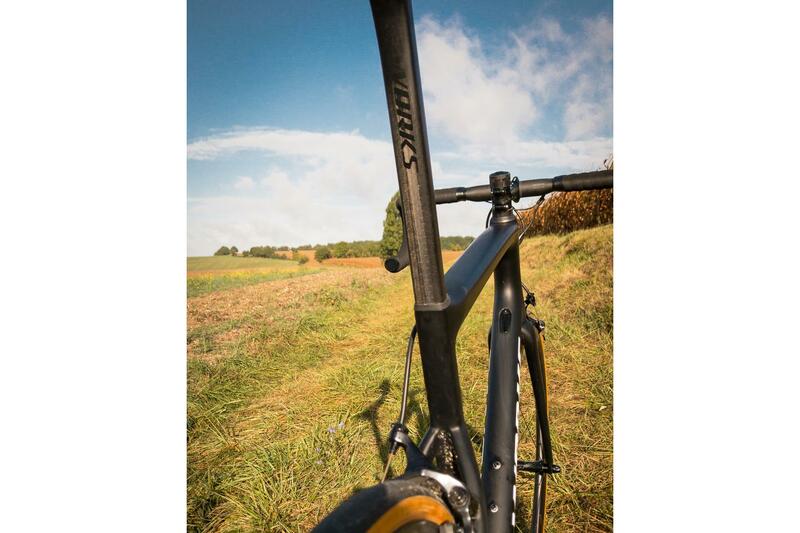 "It felt like a different bicycle because it is much stiffer, much better handling… the reaction of the bicycle is much better," he said of the new bike. Now clearly he is a very well paid rider and as Specialized's marquee rider he is unlikely to say it's sh*te. 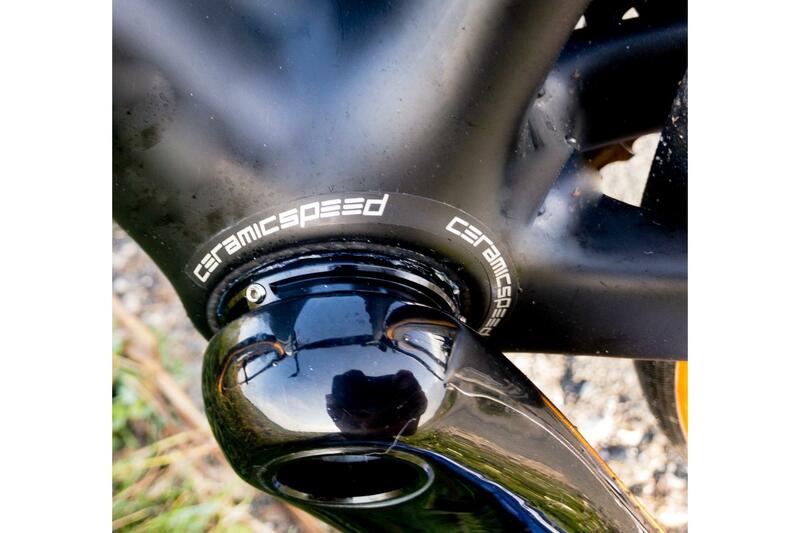 But it reminded me of something I had heard from a Team Dimension data rider who was discussing the new Cervelo R5. His main takeaway was that it rode much 'nicer' and handling was much improved. There is also a very limited edition Ultralight version at £9000 which has slightly lighter paint finish (just 10g! ), 35mm wheels (instead of 50mm) and EE brakes. Personally, I think 'my' model is the better buy. Dura Ace brakes are sublime, and I think the 50mm wheels better suit the all-round nature of this bike…. So far I have done three rides on it - so it's far too early for a definitive opinion. But so far its pretty much as good as I could have hoped. My first ride was only meant to be an hour or so. By the time I had built the bike up it was 6.30pm so I did not have a huge amount of daylight left. But the more I rode it the more I enjoyed the bike, and I ended up being out for three hours and returned in pitch darkness without lights (to a domestic bollocking). It was still worth it though….. The thing that was most noticeable was its prowess as a descender - the bike has the magical trait of being very stable yet also incredibly precise. The wide carbon rims and 26mm tyres no doubt help as well. Smooth roads and you fly along, but rough farm roads do not batter you. How does it compare to the Emonda SLR9? The new Emonda is a bike I have ridden extensively, and it's no secret that I really like it. The price of both is the same at £8500 (funny that…) and both have very similar specs with full Di2 9170 and carbon wheels. The Emonda out of the box weighed 5.8kgs which is the lightest bike I have ever ridden. All in the S-Works Tarmac is around 300g lighter than this Tarmac (due to a slightly lighter frame, shallower wheels, crazy light carbon saddle and the trick Bontrager brakes). I am off to Mallorca next week and taking the Tarmac and cannot wait to put some miles on the Tarmac on those beautiful smooth Spanish roads.